There’s plenty to catch up on after a few days without a post so we’ll start with the most recent news. João de Deus will be taking over from Francisco Barão as the coach of the Sporting B team. The former Oliveirense and Gil Vicente manager, who had a modest playing career before becoming a coach, will be working alongside Francisco Barão to coach the side. Barão now will be once against the assistant as he was previously when Abel Ferreira was coach. There was plenty of good results across many different Sporting teams in various sports but we’ll focus on the B team and the first team here. The B team returned to winning ways, in what we know now was Francisco Barão’s last B team game as head coach, with a 2-1 win at home to Trofense. With Tobias Figueiredo called up to the first team for this game Domingos Duarte made his full professional debut in central defence. Sporting’s first goal came after just 3 minutes when Papa Alassane diverted the ball into his own goal from a corner whilst under pressure from Sambinha. The second goal came in the 22nd minute when Wallyson Mallmann completed a fantastic chip from outside of the area as he beat goalkeeper Diogo Freire to the ball. The B team looked comfortable but just after the restart Ricardo Esgaio was sent off after receiving his second yellow card of the game. Hélder Sousa managed to pull one back for Trofense as they enjoyed more of the play with superior numbers but Sporting managed to hold out and pick up a much needed win. The first team managed to pick up another 4-0 win away from home after an explosive closing third of the game saw Sporting pick up all of their goals. A particular highlight included Fredy Montero grabbing a goal once again. Paulo Oliveira started in central defence with Maurício out injured. Elsewhere André Martins played alongside William Carvalho and João Mário in midfield giving Adrien Silva a rest. It was a gruelling first hour for Sporting with Penafiel defending well and Sporting find it difficult to carve out space. Nani could have put the visitors ahead when he connected to André Carrillo’s cross but miscued his effort. With Sporting labouring in the first half Marco Silva made a double substitution in the 57th minute that turned the tide of the game with William Carvalho and André Martins being replaced by Adrien Silva and Fredy Montero. Islam Slimani headed home past the diving Alireza Haghighi from Jefferson’s cross in the 69th minute to open the scoring for Sporting. He then muscled his way into the path of Cédric Soares’ long ball over the top to finish beautifully by hitting the under side of the cross bar and into the net just 2 minutes later. Fredy Montero’s return to scoring came after an excellent Sporting attacking move. Diego Capel’s low cross found the Colombian able to table in at the far post and end his barren run with his first goal in 300 days. Montero then turned provider for Sporting’s final goal. Montero’s low ball into the path of Nani allowed the winger to finish with great skill from close range and add extra emphasis to the scoreline. A look back at another bumper weekend for Sporting. Both teams turned out victors with fine margins. 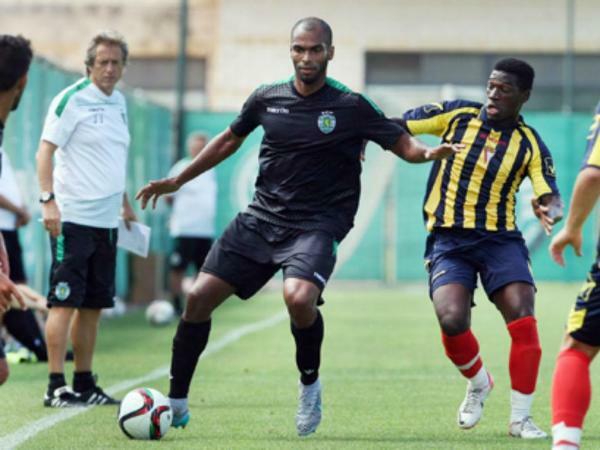 Meanwhile there were developments for Vítor Silva and Rúben Semedo. 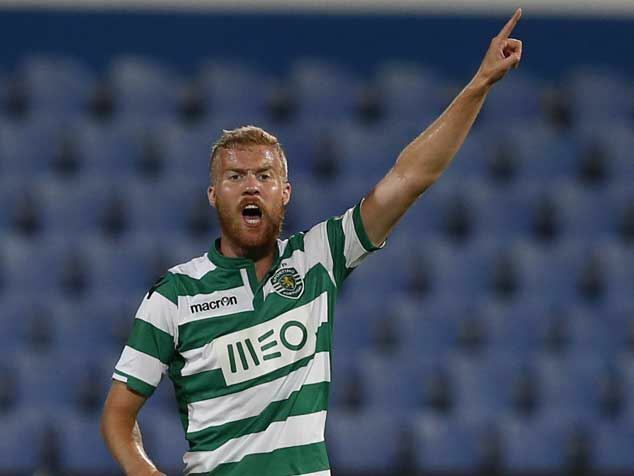 Sporting left it late to pick up their first win of the season at home to Arouca. Carlos Mané scored from close range after Junya Tanaka’s shot rebounded of the post. 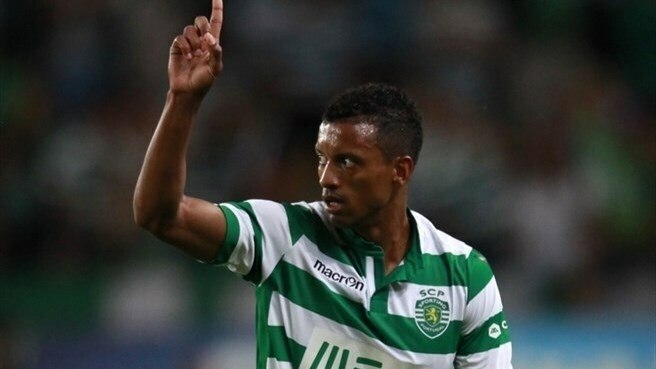 Meanwhile Nani’s first game back at Sporting resulted in a missed penalty. Marco Silva was without the suspended William Carvalho so Oriol Rosell dropped into defensive midfield whilst Naby Sarr kept his place alongside Maurício in defence. Ricardo Esgaio started ahead of the injured Cédric Soares and Nani went straight into the starting XI along side André Carrillo. The game was certainly much tougher than their first game at the Alvalade last season, also against Arouca, when they ran out 5-1 winners. Arouca goalkeeper Mauro Goicoechea was the star of the first half keeping out Fredy Montero excellent on two occasions. There were improvements in the second half and the game’s major controversial moment came in 63rd minute when Sporting won a penalty. Adrien Silva was set to take the penalty as usual until Nani insisted that he take the penalty to try and score on his return. However the winger’s penalty saved by the impressive Goicoechea to give Nani an awkward start on his return from Portugal. It seemed like Arouca and Goicoechea were going to be able to continue to keep Sporting at bay if not go on and score themselves but Sporting left it late to grab the winner. Marco Silva must be given credit for his gung-ho tactics with Sporting ending the game in the unorthodox 4-1-5 formation. A Jefferson cross found debutant substitute Junya Tanaka in space in the 3rd minute of extra time.. The Japanese forward’s snap shot hit the post but Carlos Mané pounced on the rebound to give Sporting the winner. The late win should give Marco Silva’s team confidence ahead of the next game against Benfica at the Luz on Sunday. 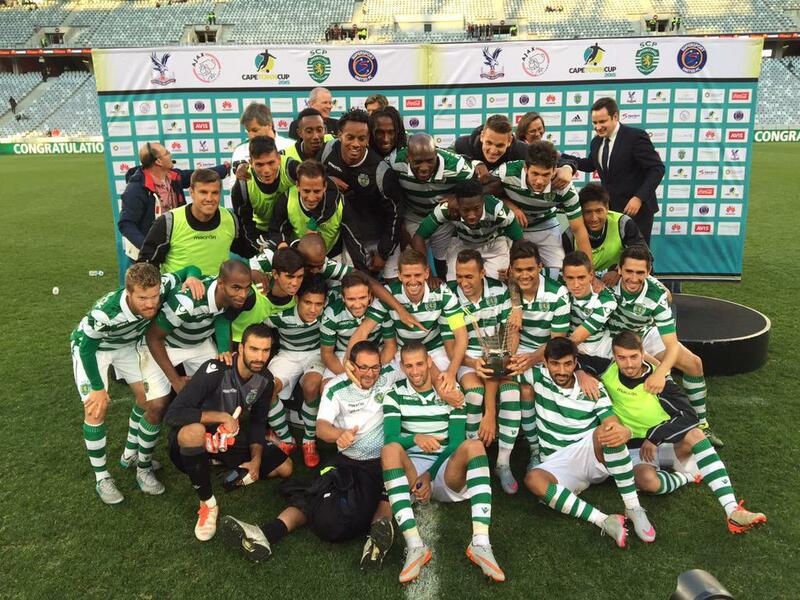 Sporting B also ran out winners with Ousmane Dramé getting the only goal in a 1-0 victory away to Olhanense. The French forward diverted a low Daniel Podence cross into the goal in the 53rd minute. Olhanense were reduced to 10-men in the 60th minute when former Sporting youngster Pedro Celestino received his second yellow card. The teams were even when 81st minute goalscorer Dramé received a straight red card. Late into the game Francisco Barão gave a professional debut for youngster Gelson Martins when the 19-year old came on as a substitute for Lewis Enoh. The result moves Sporting B up to 6th in the Segunda Liga. Today Sporting announced two players moving to CF Reus Deportiu. It seems Sporting has close ties with the Catalonia club after Alexandre Guedes transferred permanently to Reus last season as well as Tobias Figueiredo spend a loan spell there. Vítor Silva has made a permanent transfer to the Segunda División B club representing a large step down for the 30-year old midfielder. The transfer is without a free but should Reus sell on for more than €300,000 than Sporting will be due 25% of the fee. Also Rúben Semedo has moved to the club on loan for the season with the Spanish club playing the player’s wages in full. The defender has had his share of off-field problems, most recently with a training ground bust-up with Lewis Enoh, so a loan move away is certainly a good option for the club. Finally it seems Islam Slimani’s future with Sporting may have been resolved. The Algerian forward returned to first-team training today and could feature in the squad to face Benfica next weekend. Sporting have completed the signing of Kashiwa Reysol forward Junya Tanaka on a 5-year contract with a €60,000,000 release clause. Tanaka arrived in Lisbon yesterday to complete his transfer and after having passed a medical was unveiled as a Sporting player today. O Jogo speculate the deal will cost Sporting €750,000. 26-year old Tanaka broke into football as a Kashiwa Reysol player in 2010 and has since scored 53 goals in 170 matches for Chiba club as well as having so far made 1 appearance for the national team.